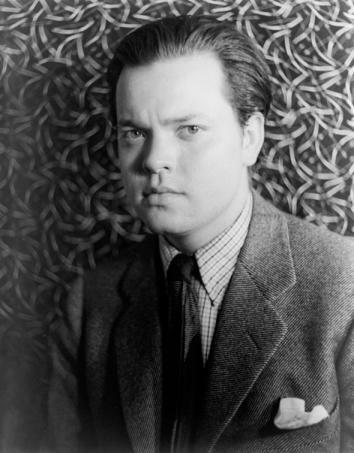 Conventional wisdom holds that Orson Welles’s 1938 radio broadcast of War of the Worlds terrorized an entire nation. But that’s not really what happened, as Jefferson Pooley and Michael J. Socolow chronicled in Slate on October 28, 2013. The night the program aired, the C.E. Hooper ratings service telephoned 5,000 households for its national ratings survey. “To what program are you listening?” the service asked respondents. Only 2 percent answered a radio “play” or “the Orson Welles program,” or something similar indicating CBS. None said a “news broadcast,” according to a summary published in Broadcasting. In other words, 98 percent of those surveyed were listening to something else, or nothing at all, on Oct. 30, 1938. [B]y the next day, a media sensation had been created. 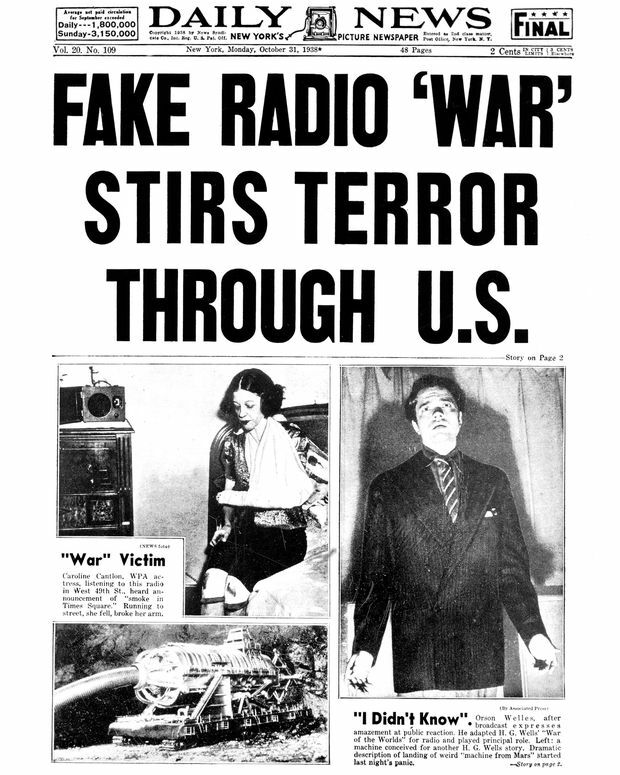 Headlines on papers like The New York Daily News and the Boston Globe declared that the radio play had terrified an entire nation. But how many people were really scared? And what was it that they were actually frightened of? Think Fr. Coughlin and Huey Long. From there The Takeaway interview moved to Jon Stewart and Stephen Colbert. (Listen here.) Interesting. This entry was posted in Uncategorized and tagged A. Brad Schwartz, American Experience, Broadcast Hysteria: Orson Welles' War of the Worlds and the Art of Fake News, C.E. Hooper, Fr. Coughlin, Huey Long, Jefferson Pooley, Jon Stewart, MacMillan, Michael J. Socolow, NPR, Orson Welles, PBS, Radiolab, Slate, Stephen Colbert, The Takeaway, War of the Worlds. Bookmark the permalink. 4 Responses to The War Over ‘War of the Worlds’ – Myth or Math? I heard a reprise of it in the early ’50s. It’s was, and still is, a marvelous piece of radio drams. And a piece of history whichever version of its impact you believe.